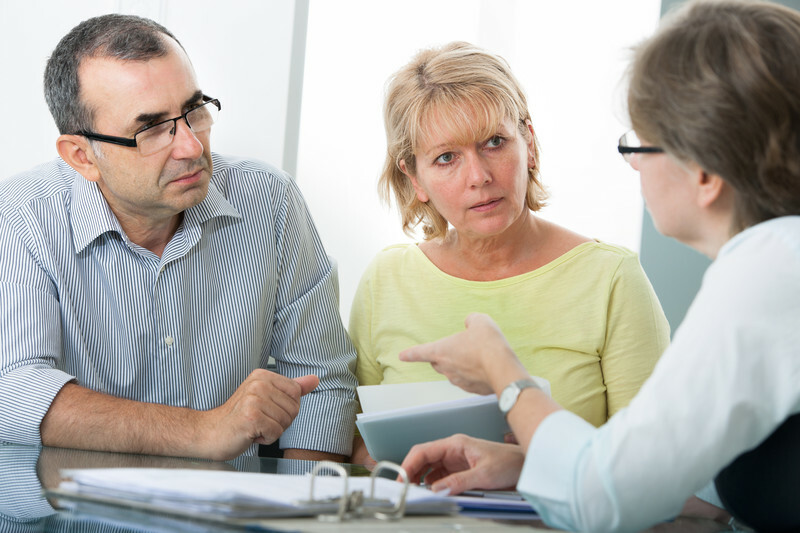 Deciding between joint and separate trusts for married couples has been a conundrum within the estate planning community for a long time. While many attorneys swear by one trust over the other, there are many factors—such as, the state in which the couple resides, the total of their marital estate, and the couple’s relationship itself—that contribute to the decision of which trust is more suitable. Historically, joint trusts have been popular among married couples due to their cheaper start-up costs, ease of management, and the fact that a joint trust reflects the traditional view of a marital estate as a singular unit. However, separate trusts, have some great (and often superior) benefits for a married couple in regards to asset protection, management flexibility, and cost savings after the death of the first spouse. Depending on state law, separating the marital estate into two separate trusts may insulate the assets of one spouse from any financial risks brought on by, or actions taken against the other spouse. Since the innocent spouse’s assets are in a separate trust, they may be out of reach from his or her spouse’s creditors. Since all marital assets are located in one trust, all assets would be at risk if a creditor obtains judgment over either spouse. Note, however, that some states have extended tenancy by the entirety (T/E) protection to T/E property contributed to a joint trust. See e.g. MO Rev Stat § 456.950 and 765 ILCS 1005/1c. (If your client is domiciled in a T/E state, check your state law for possible statutory protection.) If so, the joint trust will provide superior protection from judgments against one spouse. Separate trusts may be a better option to protect assets from creditors. Separate trusts require a bit more work, as each spouse is required to manage their own trust. If a couple wishes to keep their martial estate as a singular unit, separate trusts can still accommodate this by naming each spouse as the other’s co-trustee. This allows both spouses to maintain control of all assets, despite being located in separate trusts. Joint trusts are easier to manage during a couple’s lifetime. Since all assets are rolled into one trust, trust management would be very similar to pre-trust ownership, in that both spouses control their separate assets in the trust and have equal say in the management of the joint assets held by the trust. Since each spouse, however, has the right to revoke the trust as to his or her separate property or trust share, this may not be a safe solution if there exists any volatility between spouses. Joint trusts may be easier to manage during a couple’s lifetime. Separate trusts provide more flexibility in the event of the first spouse’s death because the trust property is already divided when the trust is funded. Separate trusts preserve the surviving spouse’s ability to amend or revoke the assets held in the surviving spouse’s trust. Separate trusts also allow each spouse to designate exactly what they would like done with their assets—who inherits what, if they would like to provide for their surviving spouse—all while protecting their assets from being inherited by new children from another marriage (should their spouse ever remarry). Spouses can fund their joint trust with their joint or community property and with any property interests that the spouses own individually. An improperly drafted joint trust may result in the surviving grantor’s making a completed gift of his or her separate trust property and share of community property to the remainder beneficiaries of the trust when the joint trust becomes irrevocable upon a grantor’s death. See Commissioner v. The Chase Manhattan Bank, 2 AFTR 2d 6363, 259 F.2d 231 (5th Cir 1958). To avoid this gift tax issue, each spouse should be given the power to withdraw his or her separate trust property at any time without the consent of the other spouse. Retaining the unrestricted right to withdraw the grantor’s separate property makes any potential gift incomplete and thus creates no gift tax liability. In a properly drafted joint trust, the surviving spouse retains significant rights in his or her separate trust property and his or her share of any community property or tenancy in common property. The retained rights prevent the occurrence of an immediate gift to the remainder beneficiaries of the joint trust. This division, however, must be recognized after the death of the first spouse, which may create additional complications both in the initial drafting of the trust and the subsequent administration. It is also especially difficult to draft a joint trust in which the beneficiaries receive different distributions upon the death of each spouse. This makes drafting problematic especially in second marriage situations where the spouses each have different distributions schemes for their beneficiaries. Joint trusts, however, are superior from an income tax perspective if funded with community property. Community property in a properly drafted joint trust receives a 100% step up in basis upon the death of the first spouse to die! Separate trusts may be easier to manage after one spouse has died. With property marital trust planning, separate trusts provide estate tax relief for affluent couples who’s estate totals higher than the federal estate tax exemption, (a combined $22,400,000 for 2018). A property drafted and funded joint trust will consist of community property—property treated by law as ½ the separate property of each spouse. It may also be funded with joint property under common law and should be converted specifically to tenancy in common property (either by separate property agreement or by the trust language) so that ½ can be treated as each spouse’s separate property. By converting the property to separate property of each spouse for gift tax purposes, the separation allows a property drafted joint trust to achieve the same estate tax marital deduction planning benefits as separate trusts. This one’s a tie, since, if properly drafted, both separate trusts for each spouse, and joint trusts can provide the same estate tax benefits. Separate trusts are a good option for remarriages (who may differ in their beneficiary designations) or couples own individual property prior to the marriage; couples who expect to receive an individual inheritance that they would like to keep separate; and is a better option for common law marriages and couples who have already signed a prenup agreement. Joint trusts are a good option for first marriages that have the same beneficiaries, the same distribution patterns, and the same trustee; and for couples who wish to keep their marital estate as a singular unit.